NeuroVR™ is the world's most advanced virtual reality neurosurgery simulator. Today's neurosurgery residents face time restrictions in acquiring technical skills and proficiencies before they operate on real patients. Practicing neurosurgeons are challenged to meet the growing certification requirements and master new techniques. 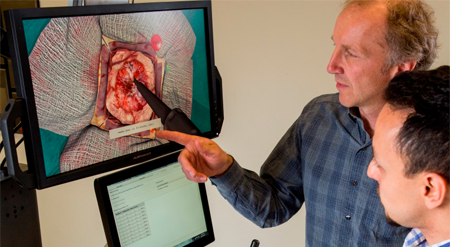 With NeuroVR, both residents and surgeons can practice open cranial and endoscopic brain surgery skills and procedures in a realistic training environment. 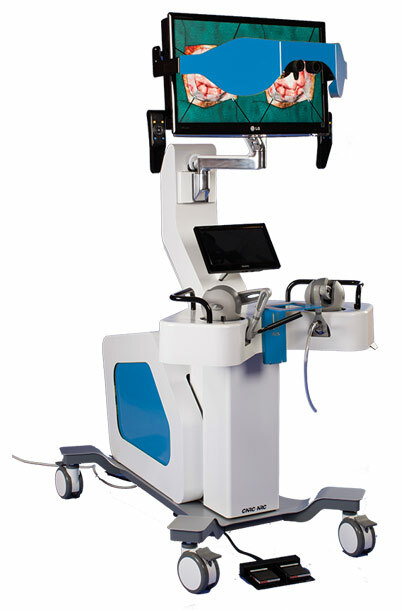 In 2008, the National Research Council of Canada (NRC) initiated the NeuroTouch (now known as NeuroVR) research project to deliver simulation-based education for neurosurgery. Since its inception, more than 15 teaching hospitals around the world have integrated the NeuroVR into their resident training programs. They have developed and validated new training modules that allow neurosurgery residents to practice in a risk-free environment. In 2016, CAE Healthcare gained exclusive rights to sell and distribute the NeuroVR simulator worldwide.